Pushing Boundaries Between Animals and Humans In the 21st century, there is still no all-encompassing concrete definition as to what species of animals are considered domesticated and what species are considered wild. I have decided to examine the current boundaries in place between animals and humans, while also illuminating the issue of human intervention in the lives of typically "wild" animals, particularly primates. The boundaries between humans and animals are continuously being pushed, and in most cases, there is a negative outcome for both parties. Using the case studies of Travis the chimpanzee, this article will examine the relationship between pets and their owners by using the concept of flexible personhood discussed by Shir-Vertesh in his article about pets in Israel. The definition of a domesticated animal is not a clear one, however, there are some historical guidelines and scientific evidence that can give us sense as to what animals are better suited for domesticated living and which are not. Animals that are most commonly accepted as domesticated have undergone significant genetic, behavioral, and some morphological changes from their wild ancestors'; while other species have changed very little in appearance from their ancestors, despite many years of selective breeding. Selective breeding is the process in which humans breed other animals and plants for their particular traits. An example of selective breeding is how the dog came to be domesticated; dogs developed from packs of wolves that came into contact with European hunter-gatherer settlements, at an estimated 18,000- 34,000 years ago (Yong, 2013). Research suggests that humans and wolves began to form a bond through hunting and companionship, which then led to humans breeding certain wolves for their favorable traits, eventually resulting in the creation of the domesticated dog. The history of domesticating animals has always been a gradual one, and even now, there is no definite answer as to when a species can be considered fully domesticated. In this particular case, wolves chose to be around humans, but what about the animals that do not have choice? In Shir- Vertesh's article on pets in Israel, he discusses the concept of flexible personhood and the adaptive roles pets have in the lives of Israeli families. In his study he observes that many of the pets are treated as child-like figures, who are important members of the family. However, this phenomenon seems to take a turn once the parents have real children, or the animals start to misbehave. He observed the flexibility of the roles of these animals, and in many cases observed how the family started to not care as much about their pets, and how some even began to view their once beloved pets as a nuisance. Shir- Vertesh concludes by explaining that many animals are treated as flexible family members, who are important, yet have changing roles, and that they can be thought of as emotional commodities. Shir-Vertesh's study is focusesed on the ownership of cats and dogs, and how these classically domesticated animals fit into the lives of these families. As stated previously, the boundaries between humans and what animals are considered domesticated are ever changing. The story of Travis the chimpanzee from Missouri, directly correlates to Shir-Vertesh research, as the story of Travis is a perfect example of flexible personhood, and how pets can every changing roles depending on the circumstances of the owner. Travis was treated as a beloved family member by his owner Sandra Herold, he appeared on various TV shows, met celebrities, and was a poster animal for many commercials. Travis was not a pet to Sandra, he was a son; until he started to become aggressive and misbehave. In 2009 Travis was no longer a son to Herold when he attacked a family friend named Charla Nash, and was gunned down by police officers. This is an example of flexible personhood and how animals are subjected to the circumstances of their owners and other humans, "long-term ethnographic research reveals that many loving relationships with animals do not endure: when life changes and unexpected situations pose obstacles to the human–animal love, the people involved may redefine or terminate it" (Shir-Vertesh). Travis was provoked, sedated and in an unhealthy environment for a full grown two hundred pound male chimpanzee. Travis was never Herold's son, he was always a chimpanzee, and inevitably he began to act like one. Travis's story is one of many sad endings for primates in captivity. In an article by Michael Mountain;When Chimpanzees Escape, he describes two instances of chimpanzees escaping from a zoo and a pair of chimps running loose from their owners in Las Vegas. He explains how " it rarely ends well for chimpanzees in captivity when they try to escape"(Mountain 2012), and how ultimately the chimpanzees are either killed or severely traumatized by the event. Some places around the world do not have any laws, " Nevada doesn't have any laws about keeping exotic pets. All you need is permit, which is easy to get" (Mountain, 2012). He describes how these primates are indeed wild animals, and how when they are kept in captivity or as household pets; the outcome is usually always negative for the animal. Humans seem to be unable to draw clear lines between wild and domesticated animals, and in many instances, push these fragile boundaries too far, resulting in unhappy endings for both animal and human counterparts. There is a need for stricter regulations on what we classify as domesticated or wild species. The public needs to be educated as to what animals will thrive better in captivity and which animals will only live happily in the wild. These particular stories on captive primates are only a few we know of .We need to think about the future of these animals and consider that the remaining chimpanzees in the wild have become critically endangered due to human intervention. There must be a drastic change made, so that wild animals are able to remain in the wild, left to live in peace within their environment. These particular cases have shown that humans have not taken measures to ensure wild animals remain in the wild, nor have we learned much from previous attempts to keep wild animals in captivity. Some species choose to be apart of human settlements, while others have no choice due to humans taking over their environment. 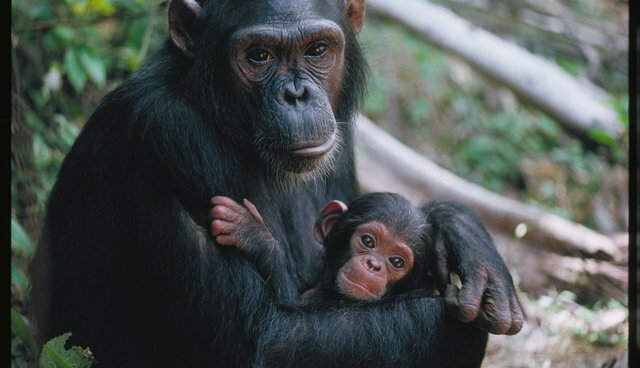 It is possible to make a positive change and accept that wild chimpanzees from Africa do not belong in a Western household, nor do any animals from across the world belong anywhere but in their natural habitat. Attempts to classify what animals are better suited for domestication and which animals belong in the wild has failed, and so have most laws and regulations regarding the keeping of exotic pets. As our world becomes more connected and populated by humans, it seems as though the guidelines in place are being diminished. Animals are not humans, and it is our responsibility to respect that.